Wish you could borrow some of your daughter’s clothes and accessories? These cute boots are no exception. 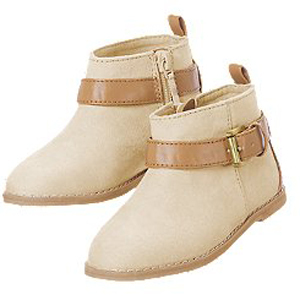 We’ve rounded up a dozen girls’ boots that are so adorable, we wish they came in adult sizes. When winter starts to get old, focus on the perks. Cute winter accessories and boots are fun to wear no matter how cold it is outside. 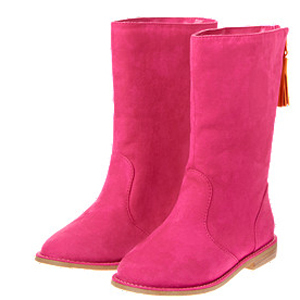 These 12 styles of boots for girls are so chic that we wish they came in adult sizes. 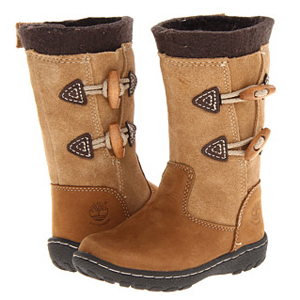 Keep your daughter’s feet warm with one of these stylish pairs of winter boots for girls. 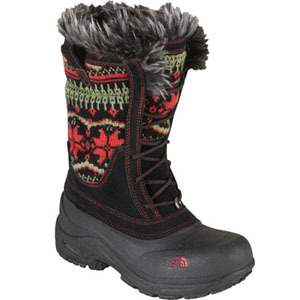 If your daughter spends a lot of time outdoors in the winter, a sturdy pair of boots is a must-have. These chic hunting boots are high-quality, and best of all, they’re available in women’s sizes (L.L. Bean, $99). 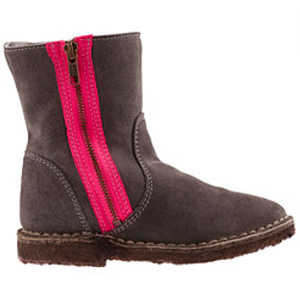 A strip of neon along the zipper makes these functional chalet boots tween friendly. 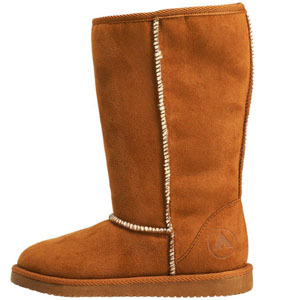 Shearling and suede make them extra soft (J.Crew, $148). Pair these cute ankle boots with a sweater dress and a warm pair of leggings. They’re just like Mom’s, without the heel (Crazy 8, $25). Faux metallic leather makes these slouch cowgirl boots just sparkly enough for the little fashionista in your life (The Children’s Place, $24). Brightness, the playful pink color and cute embellishments make these tassel boots the ultimate winter accessory for any little glamour girl (Gymboree, $45). When the weather isn’t messing around, she needs a sturdy pair of winter boots. These have a fun, bright pattern (Shoebuy, $78). 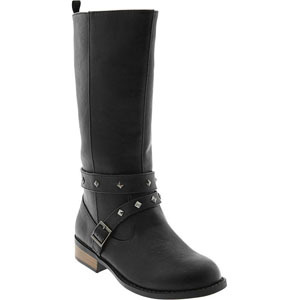 Faux leather makes these affordable studded boots look chic and upscale. The price won’t make you feel bad if she’s growing quickly (Old Navy, $30). 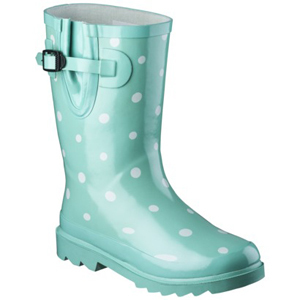 Keep her feet cozy and dry with a pair of cute rain boots in a trendy mint-and-white polka dot pattern (Target, $20). 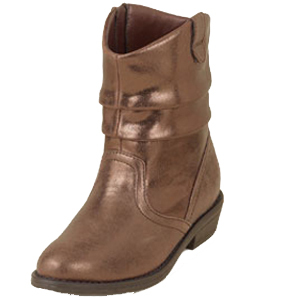 A slip-resistant sole and sturdy construction make these chic riding boots totally play friendly (Lands’ End, $69). There’s nothing old-fashioned about these super-fashionable granny boots. 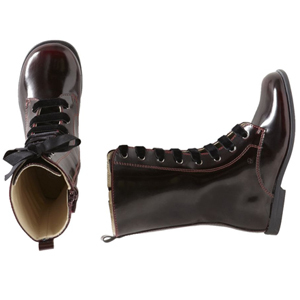 They’re a lot like Mom’s favorite Dr. Martens (Tea, $75). 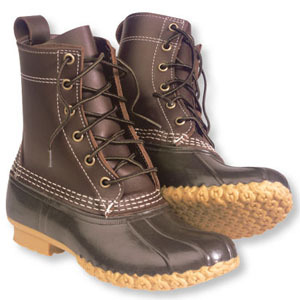 Rugged leather keeps these waterproof boots looking great, while their cute design doesn’t compromise style (6pm.com, $85). Her suede boots don’t have to cost a fortune. These re-creations of a designer brand come at a kid-friendly price (Payless, $35).